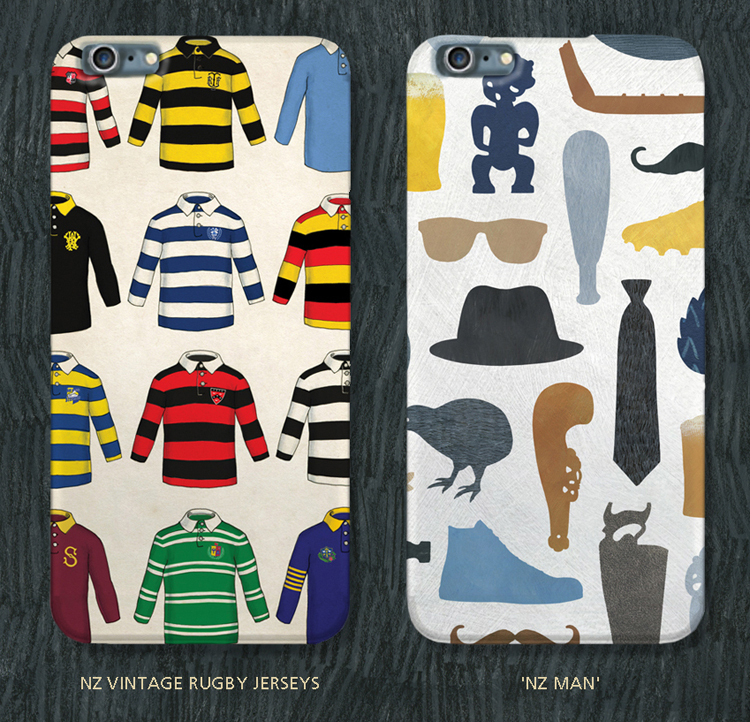 Wolfkamp & Stone have launched a new range of iPhone 5, 5S, 6, 6S and 6 Plus cases with Live Wires NZ Ltd. We’ve added two new NZ men’s designs; ‘NZ Vintage Rugby Jerseys’ and ‘NZ Man’. Sorry to the NZ provincial rugby teams we left out but there was only room for twelve! 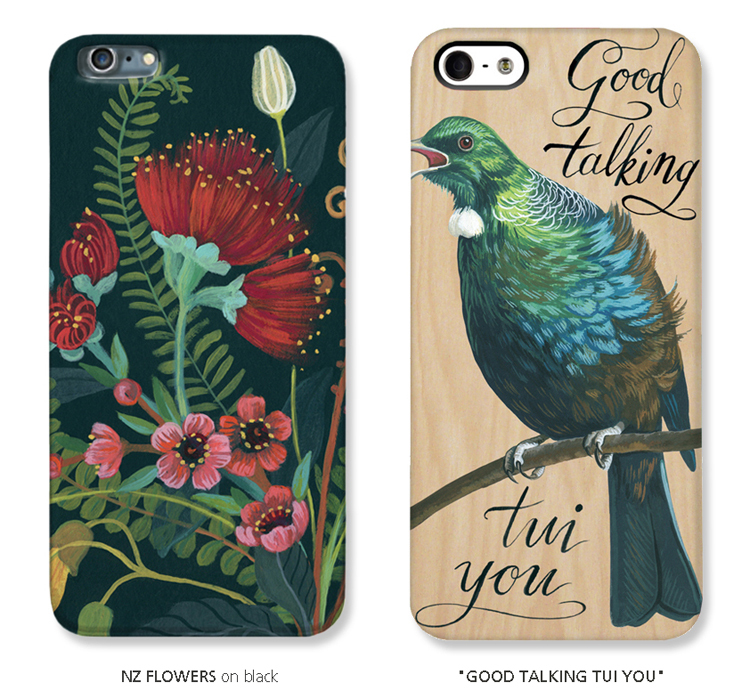 Below is ‘NZ flowers on black’, a detail of a painting by Tanya Wolfkamp, and ‘Good Talking Tui You’ which had previously been available on Samsung cases only.